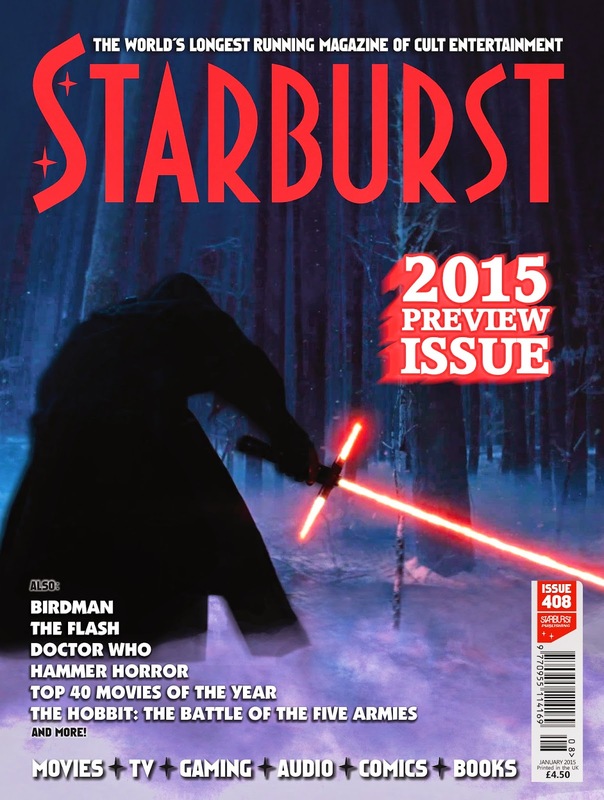 Starburst 408 - Out Now! Issue 408 of the fantastic Starburst Magazine is out now - as usual, you can pick it up from WH Smiths, independent comics stores, or online. This is the 2015 preview issue, with a massive feature by myself and the rest of the Starburst team telling you what to look forward to in the world of sci-fi, horror and fantasy in the next year. Particularly Star Wars. It's less than a year until new Star Wars, and I'm already practising my lightsaber swinging in anticipation. Also in the magazine are Starburst's countdown of the top 40 genre films of 2014 (I disagree with how The LEGO Movie didn't win, but it's a good read nonetheless), a look back at Hammer Horror's back catalogue, and loads of reviews (one of which is my Spione review...).